Listed on the National Register of Historic Places, the historic F.W. 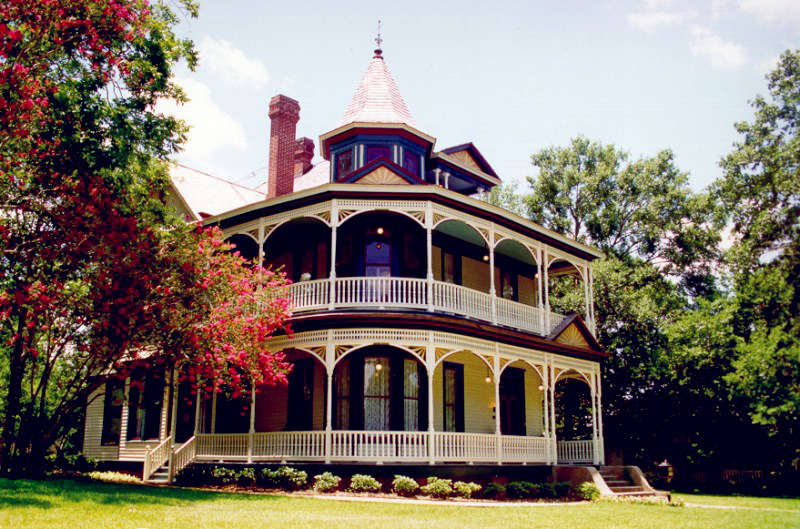 Schuerenberg House, originally built in 1895, was one of the finest examples of early Victorian residential architecture in Brenham. After years of neglect, the home located at 503 West Alamo Street was purchased by an owner who wished to see the barren, sagging features restored to their earlier grandeur. The owner’s intent was to open “A Victorian Retreat” Bed and Breakfast. 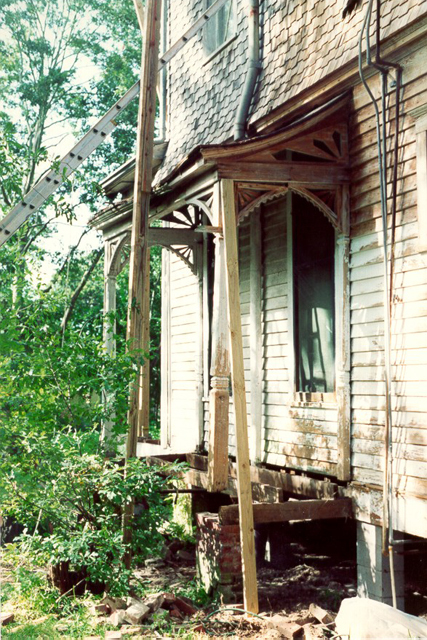 The architectural solution included the careful research and appropriate restoration measures of the home’s unique features. 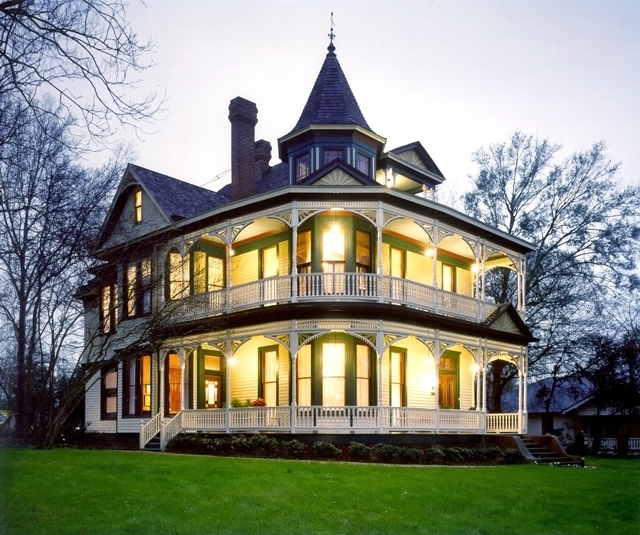 This included the preservation, refabrication or replacement in kind of the wraparound porches’ extensively decorated woodwork – turned columns, balustrades with turned balusters, wide fan brackets, and jigsaw fretwork. 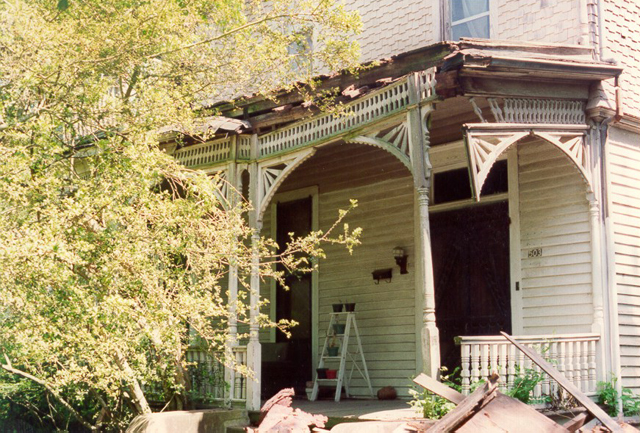 To support the home’s new use, the design and addition of secondary entrances and porches, compatible with the home’s character, were necessary. Upgrades in plumbing and mechanical systems were undertaken so as to minimize alterations to the building. The exterior was repainted with colors reminiscent of the home’s time period.